Warning: This is a long post. But if you read through it. It is definitely worth it. “Vard was really friendly,…not only to the Japanese. When he talked to …farmers, ..he sat and talked for a half-hour or an hour. He really cared about people, ” said Kazuo “Kaz”, a prominent Arroyo Grande farmer. Joseph Vard Loomis, better known as “Vard” is one of those people that is hard to forget. He was described as friendly, personable and loyal by those who knew him. However, what he is likely remembered most for, is his love and kindness to the Japanese-American citizens of Arroyo Grande. Edward Clinton Loomis, (their father) was one of the area’s early ranchers and founded a feed and grain store in 1905. Over time the business grew and by the 1930s, E.C. Loomis and Sons was the main agricultural supplier in San Luis Obispo county. During this time period it was clear that “the area’s agriculture was split into two distinct cultures: the largely Caucasian cattle ranchers and dairy farmers, who grew hay and alfalfa and ran their cattle on rolling inland pastures; and the largely Japanese American produce growers, who irrigated labor-intensive vegetables in the fertile coastal valleys. E.C. Loomis and Sons served them both, offering feed and grain to the ranchers and seed, fertilizer and insecticide to the farmers, ” (Heritage Press (Volume II No. 6). Japanese-American workers tending the fields. 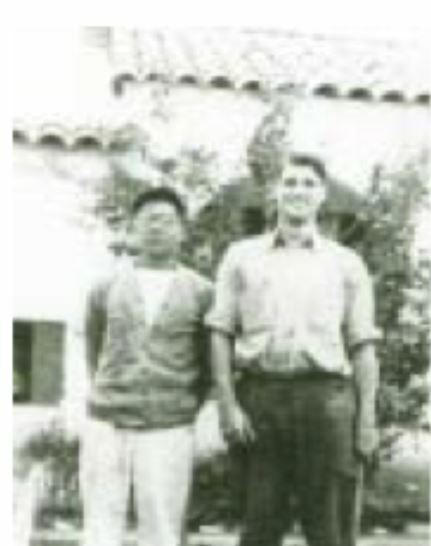 (photo courtesy of the Pismo Oceano Vegetable Exchange – http://pove.net/our-history/ In the 1940 census, nearly two thirds of the Japanese American workforce had agricultural jobs. 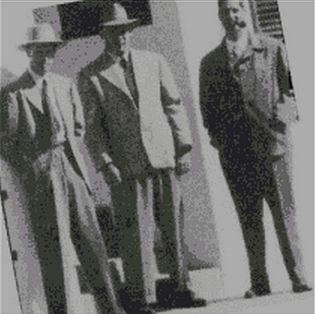 When Edward Clinton Loomis retired, his sons Joseph “Vard,” Clinton “Buster” and Ivan took over the family business. John Loomis recalled: Every year, the Loomises threw an annual “Japanese picnic” for their Japanese American customers. Families from Santa Maria to Morro Bay attended the gathering. On the day of the picnic Mr. Hayashi would (bring) crates of his own- grown lettuce, mayonnaise and cases of canned shrimp and crab….and mix it all up in large washtubs. They served sirloin steak, bread, beans, crab salads, coffee and soda pop, followed by …ice cream for dessert. Games followed cigars and cigarettes….those Japanese picnics were wonderful. When Kaz Ikeda became a teenager, Juzo Ikeda decided that his eldest son and the other young Nisei (second generation) needed a constructive physical outlet. At the time, baseball was at the height of its popularity, and every town and city had a sandlot team. Juzo decided the Japanese Americans of Arroyo Grande should have one too. He learned that Vard Loomis had played baseball at Stanford and enlisted his help. In 1931, they organized the Arroyo Grande Young Men’s Association baseball team, which Vard coached for ten years, until the internment. Kaz, the catcher*, was “quite a ball- player”, according to his cousin Haruo Hayashi. 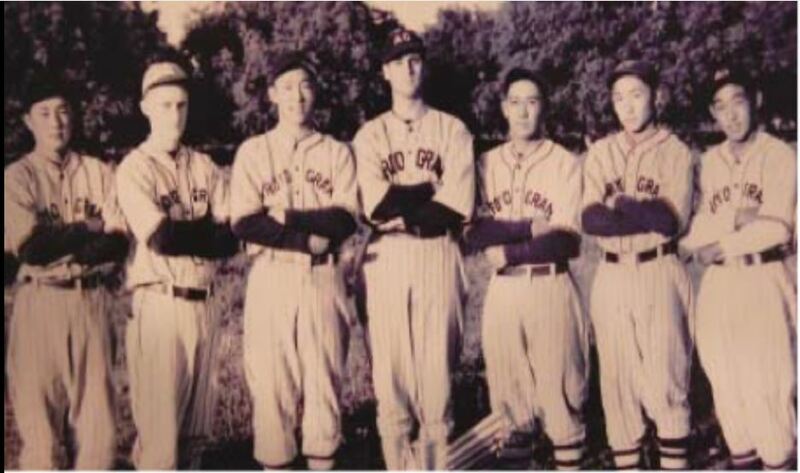 The team traveled to Santa Maria, Santa Barbara, Bakersfield, Fresno and San Jose to play other Nisei teams (second generation Japanese Americans.) Vard drove the team, and wife Gladys often went along. One day, a bus full of African American musicians spotted the Nisei team practicing in an Arroyo Grande park and challenged them to a game. Being the only “white guy” and odd man out, Vard was selected to be the umpire.It was one of the happiest days of his life, he later told his daughter Sandy—filled with laughter and good- natured teasing as each team called him “four-eyes” and “blind” whenever he made an unfavorable call (The Heritage Press, Volume II, No 6, pg. 8). Most of the truck farms in the area were operated by Issei (or first generation) like Kaz’ father. Juzo Ikeda came to America and had began farming in 1929. Because of his success he was soon leasing forty acres of rich in the Arroyo Grande Valley. “By the late 1930’s, there were about forty Issei farmers in the area. They formed a growers’ co-op—the Pismo-Oceano Vegetable Exchange—to ship produce to the East Coast” (The Heritage Press, Volume II No. 6, pg. 8). The success of the Issei farmers was shattered after Japan attacked Pearl Harbor. 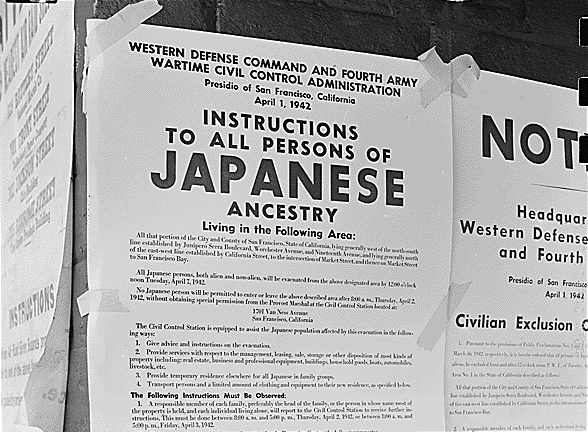 Japanese Internment camps sprang up across the US and Japanese Americans were forced to leave their homes and property. Unfortunately the vast majority of Japanese Americans lost everything during Internment. Because of the California Alien Land Laws, Issei were banned from owning land and lost all rental or lease agreements when WWII started. Despite persecution, name-calling and harassment, Vard and his family continued to be friends with Japanese Americans during and after the war. According to the Heritage Press, “The Loomis’s stood by their Japanese American friends, even though others in the community called them Jap-lovers. 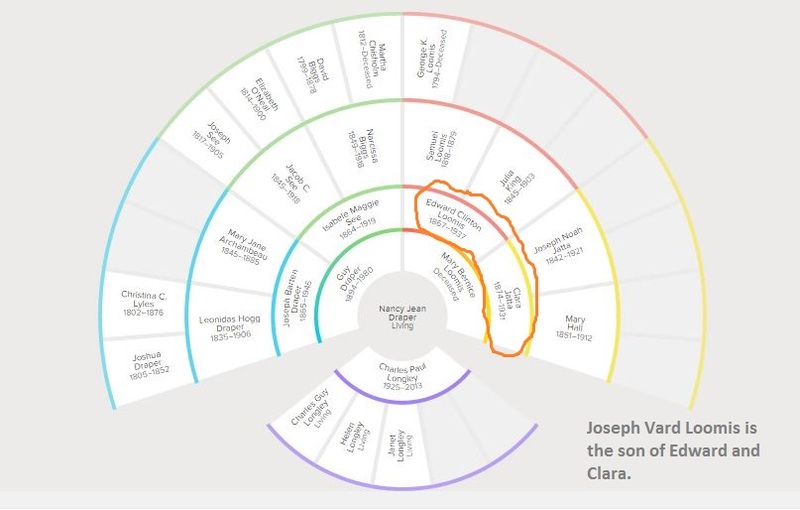 Kaz Ikeda’s family had particular reason to feel grateful for Vard Loomis’s help — so much so that Kaz would later name one of his sons after him. At the outbreak of war, Kaz was twenty-three. He had recently graduated from Cal Poly in San Luis Obispo, and was helping his dad farm the sixty acres that Juzo had purchased in Kaz’ name when he turned twenty-one. About a month after Pearl Harbor, Kaz was abruptly thrust into the role of head of household. His father broke his neck in an accident involving a run- away team of horses. He was paralyzed and required around-the-clock nursing care at the hospital. When the Wartime Civil Control Administration (WCCA) ordered Japanese Americans to move east of High- way 1, quite a few of the Arroyo Grande farmers had to relocate. 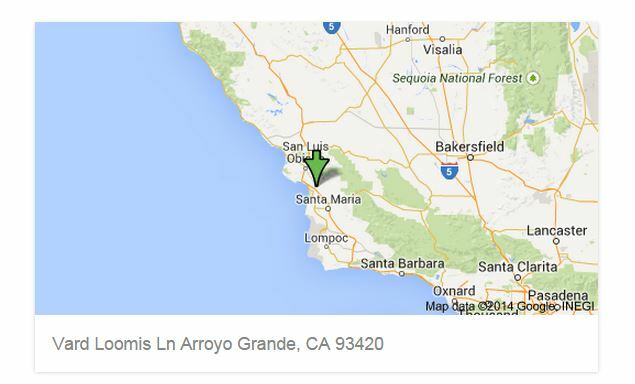 Kaz’ family moved across the highway to the Arroyo Grande Japanese- language school. Then they heard that the exclusion zone would be extended to the middle of the state. Kaz and some other Nisei drove east of Highway 99 looking for a place to rent, but, he recalled, “They didn’t want us out there. We couldn’t find any place to rent, so we decided to stay put.” When they learned they were going to be evicted, the family appealed to the WCCA. Juzo needed long-term nursing that was not available at the makeshift “assembly center” at the Tulare County Fairgrounds, Kaz recalled: “The WCCA told us my dad could remain at the local hospital until adequate facilities could be built at Tulare. And Mother could stay with him. But Mom hardly spoke English and didn’t know how to drive, so I asked if I could take her place. That’s when Vard stepped in and said I could stay at his place as long as I needed to. He didn’t hesitate for a second, but I heard he got a lot of flak from his friends.” Kaz’s mother and brothers went ahead to Tulare, while Kaz stayed with Vard and his wife Gladys and visited his father at the hospital every day. In exchange for the Loomis’ kindness, Kaz offered to babysit their daughter, Sandy. For the next two and a half months, he was the only Japanese American in the area. Gladys Loomis recalled that Kaz’s presence caused the sheriff to search their home for short wave radios, and the young Nisei was once stopped by the police for being alone in a car with a young white woman he was driving her home at Gladys’s request (The Heritage Press, Volume II, No 6, pg. 8). “According to John Loomis, the uthorities enjoyed exercising their power: Soon after Pearl Harbor, we started having blackouts in Arroyo Grande. Most of the air raid wardens were guys that were 4F. They were quite a rowdy bunch. They would threaten to kill people for not having their lights properly shielded. 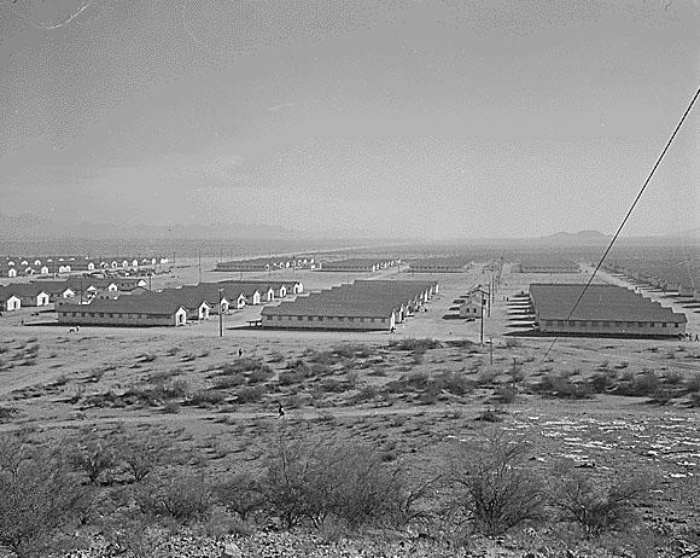 Gila River concentration camp, Arizona. (Photo courtesy of the National Archives and Records. Gila River Camp). this concentration camp held over 13,000 inmates, most of whom were from California. This camp was known for its baseball team, the Gila River Eagles, its prolific produce that fed most of the camps, and for being visited by First Lady Eleanor Roosevelt. During the war, it was also not uncommon to see Japanese property burglarized, and burned. Vard knew this was a possibility, but tried to help the best he could. During the war, “the Ikeda farm had been rented out to a couple of young Portuguese men. Vard Loomis stopped by regularly to collect the rent, out of which he paid the property taxes. Vard Loomis looked after the The Fukuhara’s 200 acres of choice farmland near Oceano. 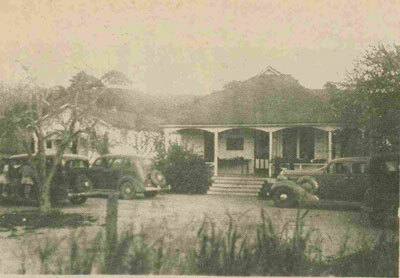 Their house on Halcyon Road was just about the biggest in town when it was completed in 1941. After Pearl Harbor, the brand-new place be- came a natural target for the resentful and envious. When the Fukuhara’s were interned, they asked Vard and Gladys, then living in a modest little house, to move into their home and keep an eye on their property. “Vard and his brother Buster leased the Fukuhara acreage and farmed it during their absence. The Loomis brothers also arranged for the evictees to store their personal belongings in a large dehydrator building near their of- fices. Unfortunately, the building was somewhat isolated and easy to break into, so most of the furniture was stolen or vandalized by war’s end.” (The Heritage Press). After WWII when the Japanese were allowed to return to their homes, only a few people returned to the Arroyo Grande farmlands. The few that did come back, had farms, but did not have the necessary capital to farm. Businesses at the time were not willing to lend credit for the needed supplies and labor to restart their farms. 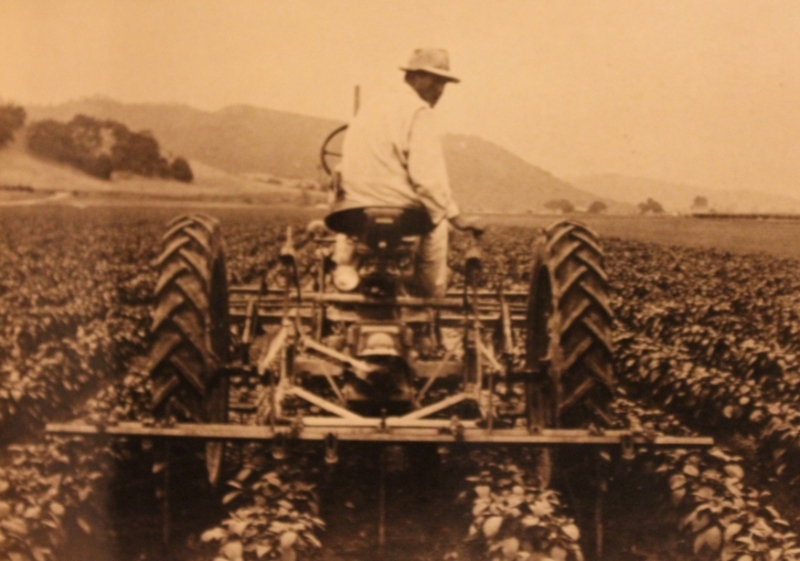 Japanese American farmer, Arroyo Grande (image courtesy of http://pove.net/our-history/). Re-establishing farm operations under these challenges wasn’t. They worked with little equipment and supplies, only hiring help when they could afford it. “Instead the entire family both young and old, joined hands and the families helped one another. 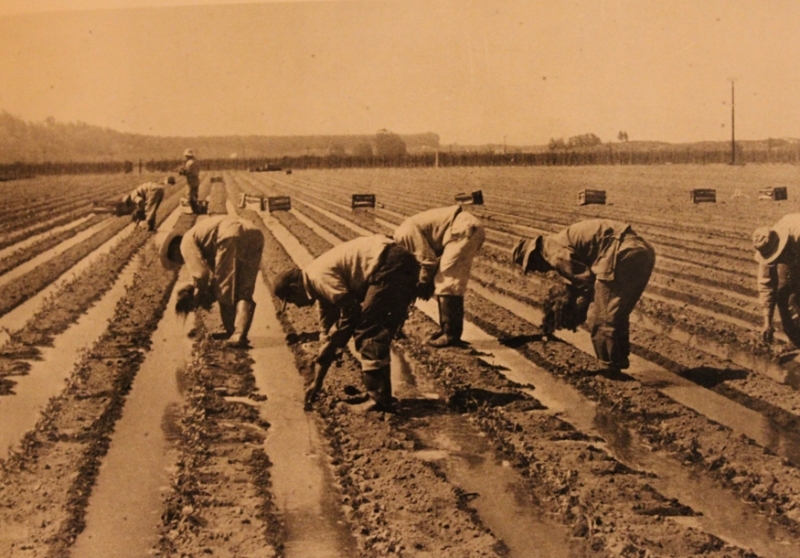 Together they labored long and strenuous hours, many times well into the night, to get themselves back on their feet.” (Pismo Oceano Vegetable Exchange History). Although Vard and Gladys Loomis did not receive a medal of honor for their service, many are grateful for their kindness before, during and throughout the war. Vard may not be living any longer, but his example of loving your neighbor as yourself is a testament to future generations like myself . If anyone has any personal stories or memories of Vard or Gladys, I would love to hear them.